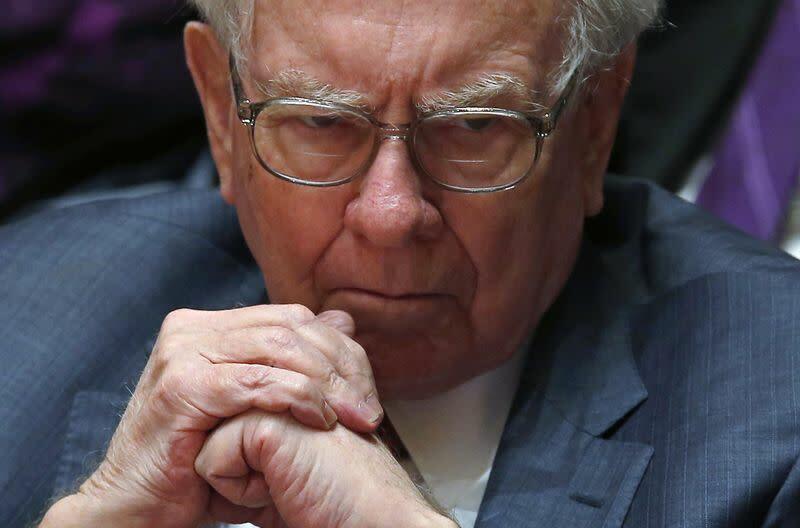 NEW YORK (Reuters) - Warren Buffett's Berkshire Hathaway Inc (BRKa.N) on Tuesday disclosed a 5 percent stake in agricultural equipment maker Deere & Co (DE.N) and said it shed a $3.74 billion investment in oil company Exxon Mobil Corp (XOM.N) as oil prices plunged. The changes were among several that Berkshire made in its common stock investments in the fourth quarter, according to a U.S. Securities and Exchange Commission filing detailing the conglomerate's domestic equity investments as of Dec. 31. Berkshire began accumulating the bulk of its 17.1 million-share stake in Deere, worth $1.51 billion at year end, in the third quarter of 2014, but had not previously disclosed it. The SEC often lets Buffett quietly accumulate large stakes to deter copycats. Deere shares rose 1.2 percent in after-market trading. Shares of companies often rise after Berkshire reveals new investments because some investors consider it a vote of confidence by Buffett and try to copy him. Berkshire's decision to dispose of its entire 41 million-share stake in Exxon Mobil was unusual for Berkshire because the stake had been recently acquired, dating only to 2013. Exxon shares have outperformed many peers in recent months, losing only about 15 percent of their value from June through January as oil prices slumped by more than half. It is unclear why Buffett appeared to have soured on Exxon, or whether Berkshire made money on the investment. Buffett "is of course a value investor, and the fact of the matter is that Exxon shares held up extremely well during the oil price meltdown," said Raymond James energy analyst Pavel Molchanov in an interview. Exxon Mobil declined to comment. Berkshire also reported a new stake of 4.7 million shares in Rupert Murdoch's media company Twenty-First Century Fox Inc (FOXA.O). It further reported a new 8.4 million-share stake in Restaurant Brands International Inc (QSR.N) (QSR.TO), the parent of the Burger King and Tim Hortons restaurant chains. Berkshire helped finance Burger King's purchase of Tim Hortons last year and got Restaurant Brands shares through the merger. Berkshire also added to holdings in IBM Corp (IBM.N), General Motors Co (GM.N), Phillips 66 (PSX.N), Suncor Energy Inc (SU.TO) and DirecTV (DTV.O), among others, and shed stakes in oil company ConocoPhillips (COP.N) and pharmacy benefits management company Express Scripts Holding Co (ESRX.O). U.S. regulators require large investors to disclose their stock holdings every quarter. Berkshire, based in Omaha, Nebraska, owns more than 80 businesses ranging from Dairy Queen ice cream to Geico insurance to the BNSF railroad. What Type Of Shareholder Owns GSI Technology, Inc.'s (NASDAQ:GSIT)? What Percentage Of Atlantic Gold Corporation (CVE:AGB) Shares Do Insiders Own?